Preventative dental care is important for a number of reasons and it’s a process that should be started as soon as you get your first tooth. There are a lot of people out there who do not seem to recognize how important preventative dentistry is and what the many benefits are of making sure you that get the preventative dental care you need. Preventative dental care actually begins at home. Children can begin teething at as early as four months old, and of course, you don’t usually take a four month old infant to the dentist. However, you can begin preventing dental and other oral health issues with preventative dental care practices you can perform in the home from the time your child grows their first tooth up until they actually have their first visit to a professional dental office. Preventative dental care (also called preventative dentistry) is essentially the practice of taking care of your teeth and gums in order to keep them as healthy as possible. This practice is the best way to help you avoid getting cavities, developing gingivitis (early gum disease), wearing down your tooth enamel, as well as many other dental health issues. There are actually many different forms of preventative dental care, many of which are performed right at home as well as in the dental office. Brushing your teeth at least twice a day is a preventative dental practice and making sure you get your annual professional dental cleanings at your dentist’s office is another one. Ensuring that you perform these practices will help keep your teeth cleaner, stronger and whiter. You should also be sure to teach your children how to practice proper dental hygiene from an early an age as possible. Daily flossing is important because it cleans out the spaces in between your teeth. Receiving annual professional dental cleanings as well as exams lets your dentist identify and dental problems or potential dental problems and treat these problems right away. 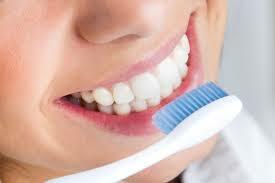 Preventative dental care is a very important part of maintaining good overall dental health. Now that you know how important this is, you should make sure you start practicing if you haven’t already. Call us on 801-292-7500 or contact us via our contact form to schedule an appointment with Dr.Adrian to your teeth are health.